DAV National Sports have been organised under the aegis of DAV CMC New Delhi. Athletic Meet of Patiala Zone was held in BBB DAV Public School Moonak on 13th October 2018. Nearly 7 DAV schools of the Cluster participated in this event. DAV Nabha bagged overall trophy in this event by scoring 26 medals in all comprising of 6 Gold, 15 Silver and 5 Bronze. 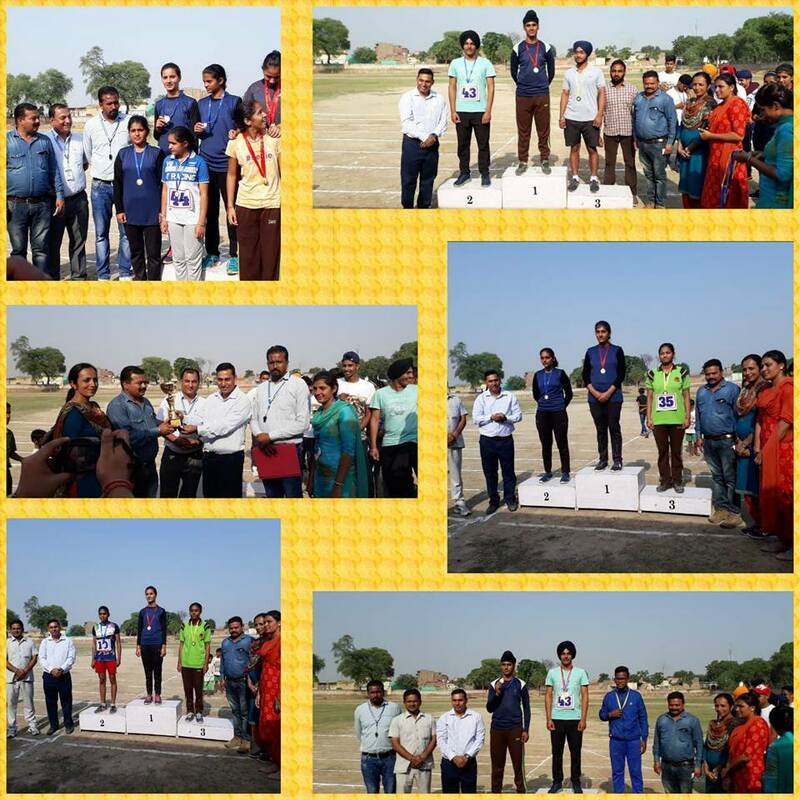 Total 27 students participated in this Athletic Meet and brought laurels to school by clinching 26 medals in the events,high jump long jump, shot put, discus and races. The winners will complete in State Level Competition of the above mentioned Athletic events, next month, said both the coaches Mr Rajesh Vashist and Miss Kiranpal Kaur. Miss Meena Mehta, Principal of the school applauded the students for bringing laurels to school. She also congratulated the mentors and parents by sharing this proud moment.